Eating out while on holiday in the UK can be expensive. No matter how carefully you’ve worked out your budget, the cost of food and drink can soon add up. However, there are ways to save while ensuring that you don’t have to resort to Pot Noodle and cheap lager. Whether you plan to travel the length and breadth of Britain or whether you want to stay in one place, you’ll be able to eat cheaply and well in some of the country’s most exciting locations with our handy guide. Although you may not want to cook while you’re on vacation, you can save a bundle if you fix at least a few of your own meals. Supermarkets in the United Kingdom are well stocked and varied. Your cooking facilities are likely to be limited, so we’re not talking Cordon Bleu three-course dinners. Choose fresh bread, cheese, cooked chicken or meat, salad vegetables and mayonnaise and you can make sandwiches for lunch for a few days. It’s a cheap alternative to buying the same in a SubWay or Pret-a-Manger, and let’s face it, everyone can manage to put a sandwich together. It’s worth checking out the supermarket drink section too. Stock up on soft drinks or bottled water for days at the beach or walks in the country. Stow a couple in a backpack for shopping trips and visits to museums, they will always cost less than those sold in major tourist areas. Many stores have buy-one-get-one-free deals on leading brand soft drinks and mineral waters. You’ll also find that beer, wine and spirits are cheaper than in the pub so pick up your favourite tipple for budget friendly dinners. Where do the locals eat? The United Kingdom is known for national dishes like fish and chips, curry, and roast beef and Yorkshire pudding. Regional cuisine is a lot less pricey in many cases. Fish and chips will be cheaper, and a lot fresher and tastier, in coastal towns and seaside resorts in the UK than in London, Manchester, or Glasgow. So tuck into cod and chips in Cleethorpes, scampi in Scarborough, and plaice in Portsmouth and you’ll stay within that budget. The same applies to dishes like roast beef, or national specialities like haggis or Welsh rarebit. Eat them for cheap in the regions they hail from and enjoy a taste of Britain for less. Visit events and exhibitions and you’re likely to come across lots of free food and drink. The Ideal Home Show or the Horse of the Year Show, it doesn’t matter – lots of exhibitors want you to sample their food and drink. Eat even more on the cheap at famous United Kingdom food events. Try Vegfest for vegetarian and vegan treats. This popular food event was established in Bristol and it now takes place in cities all over Britain including London, Brighton, and Glasgow. It’s the original budget friendly option and an essential addition to our guide. Try different types of food like kale chips and enjoy free entertainment at the Bristol festival in May. If you’re heading north, the Loch Lomond festival in early September is a must. You can try food from all over Scotland and admittance is free. Go to the demonstrations – the chef almost always lets the audience sample the food and it’s a fun way to stay within your budget. If you like posh for less, the Port Eliot Festival in Cornwall. Not only will you have access to the grounds of the beautiful mansion you can try local food and drink. Seafood is the main focus. Pick up a local Time Our or listings guide and you’ll probably find dozens of restaurants with cheap deals. Some pub chains have days where they focus on a particular type of food such as curry or chicken and the price normally includes a drink. Some cafes and diners let kids eat free when adults are buying a meal while others offer discounts and cheap menus for children and seniors. It pays to look around. When a new establishment opens or a pop-up restaurant arrives in town, they often have special offers and free samples on the first day. Membership of certain venues gets you money off food and drink as well as early access to tickets. The Barbican is a great example – the famous London venue charges £20 per year for basic membership and it includes presales on films, musical events, and theatre shows. However, it’s the hefty 20% off any drink at the bar or off already cheap food and snacks that will appeal to those on a budget. 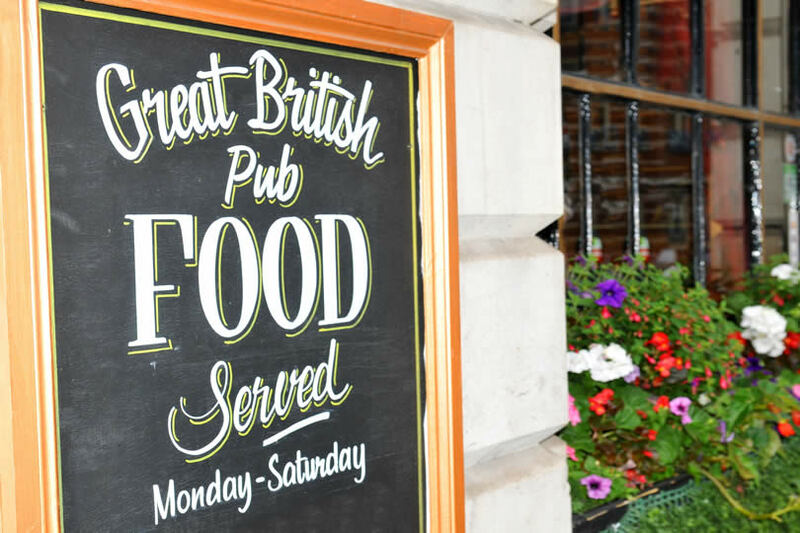 Travel all over Britain and you’re likely to find the same kind of offers in local venues. If there’s a particular theatre or club that interests you, visit its website to see whether membership includes a discount on food and drink. All over the United Kingdom, you’ll find restaurants who want you to eat with them regularly and issue loyalty cards to customers. Whether its stylish Italian restaurants like Il Sugo in London’s Camden Town or national chains like Nando’s or Pizza Express. The more often you eat, the bigger the discount. A second visit may get you a free dessert or 25% off your meal, while a fifth or sixth visit may well mean a free dinner. There are lots of ways to eat and drink for less while you travel on a budget. Be imaginative. Ask if there are any offers in restaurants or pubs or look in a local guide for inspiration. Whether you want to try fish and chips for less in Bournemouth or a tasty cheap curry in Birmingham, you’re more likely to get a discount if you ask politely. 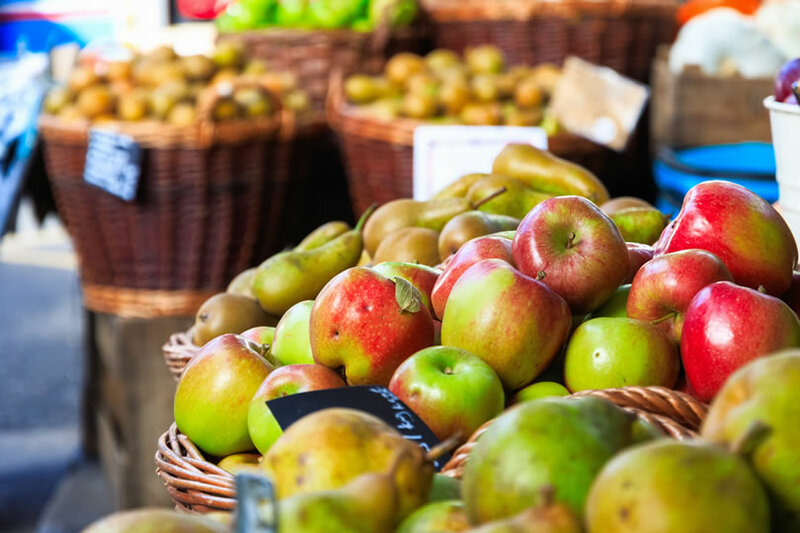 See our ways to save and eat cheaply. -Where do locals eat ?